Your choice of Columbus roofing material will affect both the external appearance of your home and the comfort of your family inside the home. Roofing materials are important in energy conservation, comfort, and the appearance of your home. Your choice of material for a re-roofing project or for a new roof on a home addition should take into account several factors. To choose the right Columbus roofing material for your home, first consider the architectural style and the type of roofing “look” that is right for the house. Then evaluate the natural materials and the metal simulations. You should be able to find a roofing material that matches the style of your home, fits your budget and provides better insulation for your home. This will make the home more attractive, more comfortable and more energy-efficient. 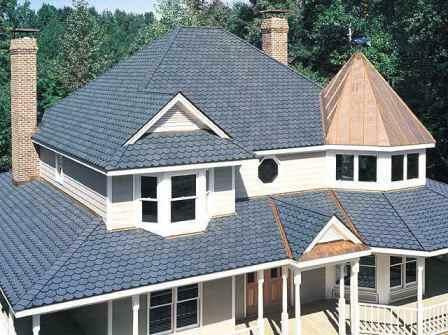 Your Columbus roofing contractor can help you decide what roofing material will be suit your home. If you are looking for a roofing contractor in Columbus, OH, please call us today at 614-263-8899 or complete our�online request form.